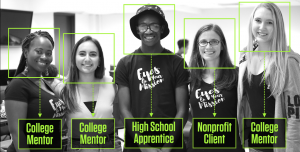 The Eyes On Your Mission Academy is a training intensive that produces social engagement videos and user-friendly digital content for nonprofits. The EOYM Academy is a paid apprenticeship program for young filmmakers and industry experts to use their skills for good. Celebrity judging, cash prizes, and guerrilla marketing campaigns will draw the attention of both social and traditional media, creating buzz around these videos that will elevate Miami’s growing creative workforce. 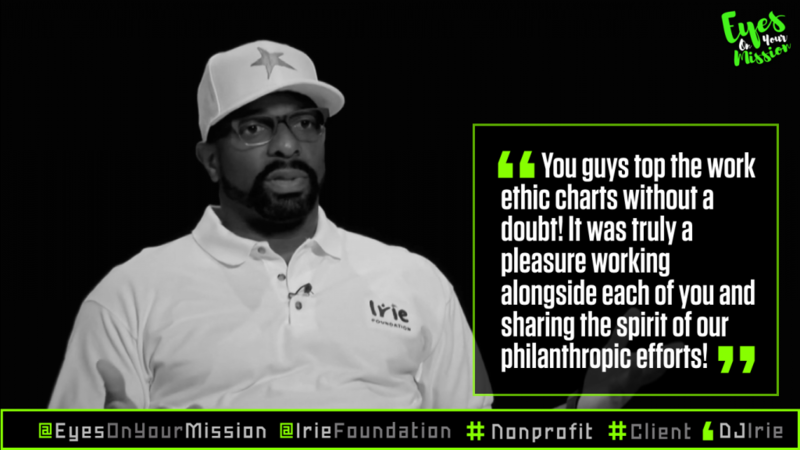 NONPROFIT TUITION: Each of the participating nonprofits pay $5,000 to participate in the course. This fee goes directly to fund the paid apprenticeships and professional infrastructure needed to closely supervise students working on each project. All nonprofits are guaranteed a multimedia social fundraising campaign worth $15,000-20,000. See below deliverables. PARTNERS: In Miami we partner with Florida International University – School of Journalism & Mass Communication, Miami Northwestern Senior High, The WARE Foundation, Knight Foundation, Center for Social Change, and The Ortega Foundation to provide young filmmakers the opportunity to work with industry experts and local organizations that need their skills and vision. LOCATION OF COURSEWORK: Miami training sites include FIU’s School of Journalism & Mass Communication (Biscayne Campus), Miami Northwestern Senior High School, Two Parrot Production’s Little River studio and on-site locations.